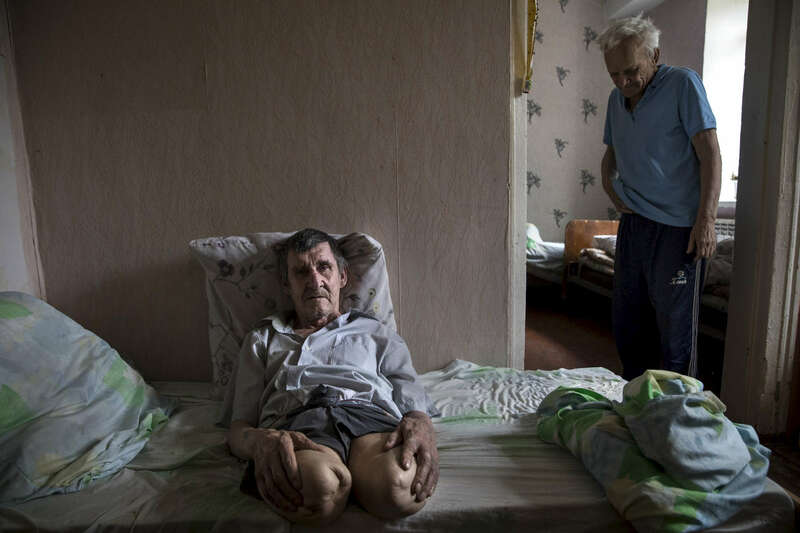 Ivan Ivanovich, age 65, is a double amputee but has no memory of how he lost his legs, he was brought to the Druzhkovka nursing home by healthcare workers, abandoned by his family, his daughter lives in Russia. He used to work as a coal miner. The nursing home facility takes care of many elderly who are left behind, and poverty stricken due to the war.